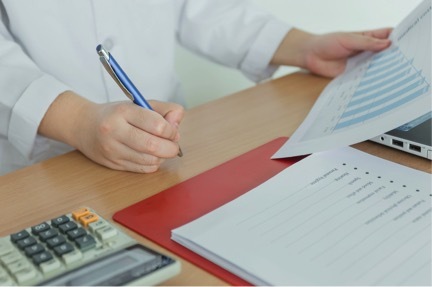 Effective coding is the best way to fight off rising business costs in your medical practice. The procedural and diagnostic codes used to submit claims for reimbursements mandate how much your providers get paid for the work they do. Therefore, it’s essential to ensure your coding procedures are optimized for success. Below are five ways you can begin to code more effectively at your medical practice. At HIS, we offer medical coding training and ongoing education for our partnering practices to ensure your staff has the skills and training necessary to adapt to the transition. We offer on and off-site training programs to help your staff learn the fundamentals of current coding and documentation regulations. We also provide ongoing medical coding training that includes onsite instruction and 15 hours of continuing education units for your coders. With the right training, your practice will avoid simple mistakes that can lead to undercoding and coding errors. Proper coding education for your physicians and office staff can mean greater revenue and more efficient operations for your practice. If medical coding is causing a problem in your medical practice, we can help you at Healthcare Information Services (HIS). We have over 65 certified professional coders that are capable of providing your staff medical coding education to improve overall efficiency and boost revenue. Our mission is to enable your practice to collect the maximum reimbursements for your services, while also supporting the management side. This way you and your fellow physicians, nurses, assistants and staff can focus on taking care of your patients’ needs. We promise to effectively communicate with you and your practice, and go beyond your expectations. Contact us today for more information on our medical coding training and other revenue cycle management services.